When a dog gives up food for you, that's love! 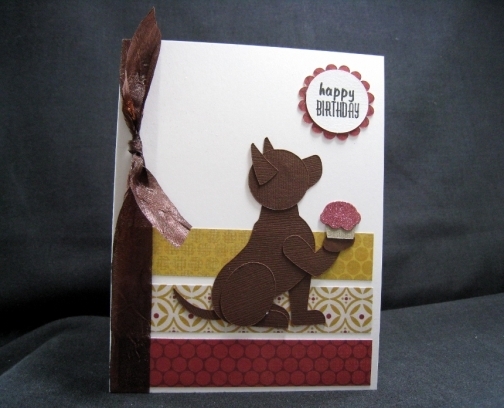 This puppy and the cupcake were digitally designed by me and cut with my electronic cutter. The cupcake was hand glittered to give it that extra pizazz! There is a sheer brown ribbon tied along the side. This doggy birthday card measures approximately 4.25 by5.5 inches (roughly 10.75 by 14 cm) and comes with a white peel'nseal envelope that has been adorned with a matching pink glittered cupcake. 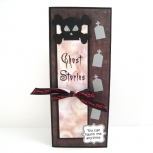 The cards are built from heavy weight cardstock so your card can be displayed standing up without sagging. By default, the inside is blank white cardstock for your own message. 10% of the net proceeds of this card will go to SOAR - Southern Ontario Animal Rescue - a small animal charity run entirely by a handful volunteers that rescues dogs and arranges foster care and adoptions. The back of each card bears a shop label, signature and creation date. All materials are acid and lignin free papers and pens. Provincial Sales Tax of 8% are charged on all orders shipped within Ontario, Canada. Orders paid by PayPal should automatically calculate this amount, but in the event that it doesn’t, you will be invoiced the PST separately. I do not charge GST on any of my items. Ensorcelled Minds Inc. is *not* responsible for any duties or customs levies that your location charges. It is the buyer’s responsibility to know when and how to self-assess and report, where applicable. The shipping cost includes both shipping and handling. All items are shipped via Canada Post after full payment is received. I ship to your PAYPAL address. Please notify me in the note to seller when placing your order if you would like the items shipped to an address other than your PAYPAL address. I use RECYCLED packaging wherever possible. I ensure my items are packed with clean, repurposed cardboard to help prevent accidental bending during shipment. Please allow up to 10 business days for your item to arrive. I am not responsible for shipping delays after the items have left my hands at the post office. I do not use parcel tracking or insurance because of the prohibitive cost for the value of the shipments. Lost packages will be dealt with on a case-by-case basis. * All the coloured peel'n'stick envelopes in my shop are handmade by me from recycled paper. The temporary use of this item should have no significant impact on the archival quality of its contents. If you have other ideas for helping Ensorcelled Minds Inc. go more green, I'd LOVE to hear them! Feedback will be left after payment is received. I appreciate buyer feedback after the items have been received by you, but it is not required. These paper goods are for viewing and for use in crafting only. 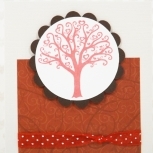 Small paper pieces and embellishments could present choking hazards if left in the reach of small children or animals. Please take care where you place them. Ensorcelled Minds Inc. accepts no responsibility for injury due to user negligence or improper use of products. I currently ship to only Canada and the United Kingdom. All cards are shipped in a cello bag. The shipping cost includes both shipping and handling. All items are shipped via Canada Post after full payment is received. I ship to your PAYPAL address. If desired, I can ship direct to your recipient! Please notify me in the note to seller when placing your order if you would like the items shipped to an address other than your PAYPAL address. I use RECYCLED packaging. I use clean, repurposed cardboard to help prevent accidental bending during shipment. Please allow up to 10 business days for your item to arrive. I have no control over shipping delays after the items have left my hands at the post office. Lost packages will be dealt with on a case-by-case basis. The album looked amazing! Even better than on the photos. Such detailed work! I know my friend will love it.Thanks a lot! Arrived fast too and great customer service. A+ seller. I highly recommend her. Got both albums today. Super happy about the look and quality. Love all the little details. Both albums were custom-designed for special occasions and they are absolutely amazing! Lisa even included free adhesives and a few handmade photo corners for me. She thought of everything. She is absolutely the best. I highly recommend her. This was a custom order of a Xmas album for my son (I bought another one as a present for Xmas for my niece) and a special order of cut outs of ocean creatures for my baby's 1st Birthday party. I received all my items very fast, in time for the party, and they all look great! I absolutely love Lisa's work and she is a pleasure to deal with. She also included a few free things for me, which I didn't expect, like Thank You cards for my baby's party and some photo corners for my baby album. That's very considerate! Thank you so much! A++ seller. Highly recommend her work and I'll definitely purchase from her again. Very happy with this purchase. The album was a custom order and is absolutely amazing. Perfect for what I needed. I just love all the little details Lisa has added. There is so much work went into creating this masterpiece. The cards are beautiful as well. I've also got a few extra things included in my order, like adhesive for cards that go inside the album. Overall a great shopping experience, amazing products and A+++ service. Will buy from this store again. Absolutely gorgeous cards. Even cuter in print! Perfect transaction and exactly what I needed. 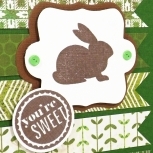 Lisa made some custom changes to one of the cards and was even kind enough to include an extra gift card-holder. Love it! A+++ seller. I highly recommend her. Beautiful card, good quality & great packaging, thanks! My boys loved their decorations.. and I just love the boxes so that we can put them away safely! Thanks again! Lisa is very good in her work! I received the cards in the mail today. Great packaging as well. I will come back to her store to order more of her handmade cards! Love the cards, love the ornaments, and thanks for the business card holder! I do do craft sales, but I haven't got my cards to use it this year! Beautiful quilled dragon. I bought this to frame it. Seller was very apologetic for postal strike, which was totally beyond her control, even crediting me the shipping cost! Lovely first iCraft transaction. Lisa was so patient with me and help me throughout this transaction. I am unable yet to say if the item was received as Lisa very kindly has mailed it for me, in Canada, as I live in the UK. I would recommend Lisa and her products to anyone who asks. Lisa - I know I have thanked you in my emails but this is a public "THANK YOU"
Great cards! I'm very happy with them, thanks!! I received it today.. I'm so impressed! It is really pretty, and I can't wait to show it to my hubby! This is going to get framed too... you've got yourself a loyal customer! Awesome craft"woman"ship. The cards are so great I almost don't want to give them away. The first item that caught my eye was the dog birthday card = perfect for the dog lover in our family. I could have easily ordered so much more and I may still do so. Thanks for being so creative - this is 10X better than giving out a card bought at the store and your prices are really great too! Great products! Carefully shipped! Lovely seller! Will definitely buy from you again! Thank you for the extras! If you are not satisfied with your purchase for any reason, you may ship it back within 14 days from the date of shipment for a full refund, EXCLUDING shipping costs. The item must arrive in the same condition and packaging in which it was sent out. The buyer is responsible for return shipping costs. Because you are refunded for the original item, any item you buy to replace it must be purchased as a new, separate, regular transaction. Custom orders will be handled on a case-by-case basis. Please contact me. If the return is due to error on my part, then you will receive a full refund upon my receipt of the goods returned in the same condition and packing in which it was sent out. The refund will include original shipping x 2 as the standard compensation for return shipping costs paid by you. I will be in touch with you to determine the error and its resolution.